Purchase a print | Friday night's full moon appeared to be the biggest and brightest of any in 2010. 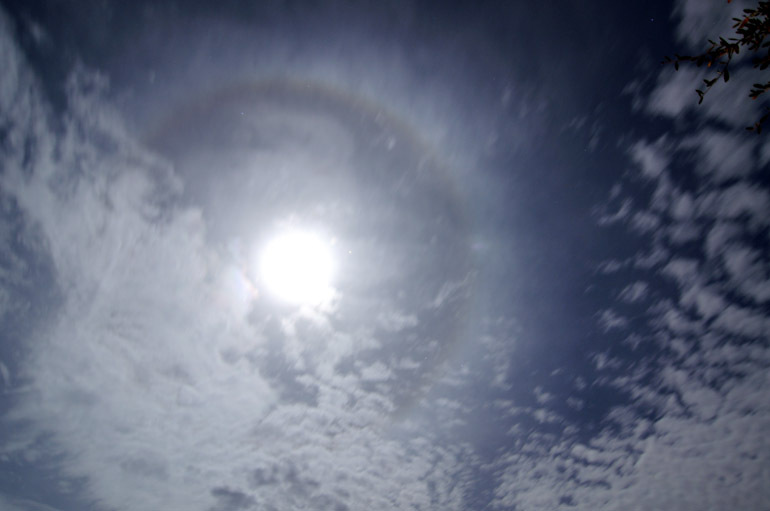 Earth's natural satellite was at its perigee, or closest approach to Earth. After getting home from work, I photographed the moon when it was high in the night sky. 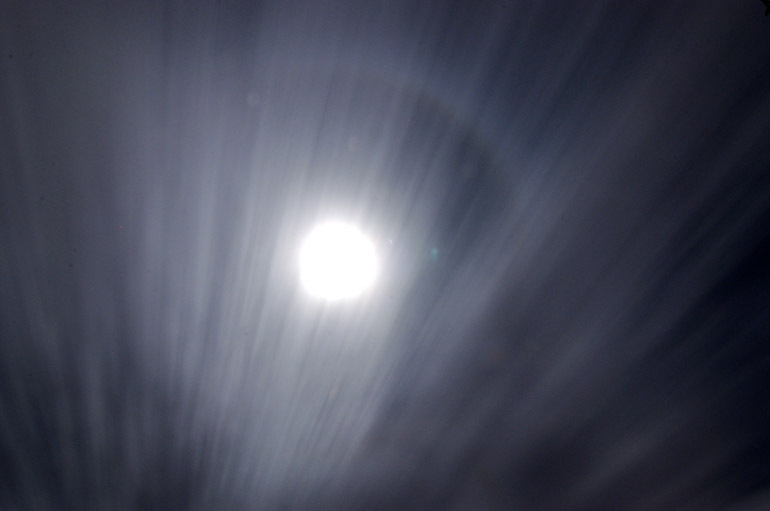 The shutter for the above shot was open for 2 minutes and 36 seconds, so the clouds appear streaky underneath a halo-encircled moon. Purchase a print | These altocumulous clouds quickly approached from the west and built into a thick layer in the short time I was outside. This mackerel sky foreshadowed a cold front and stormy weather to come Saturday. 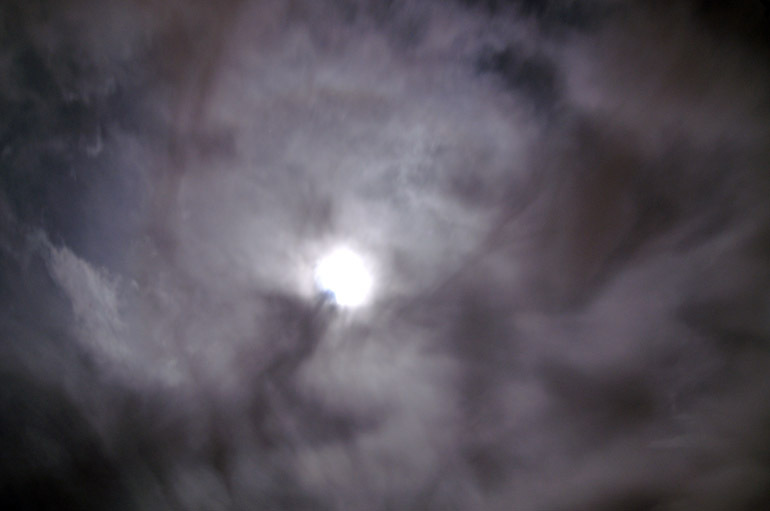 The clouds eventually became thick, dark and eerie, effectively hindering my view of the moon. The moon is made of green cheese - or is it blue?